Aaah, purple and gold, a very royal combination indeed! 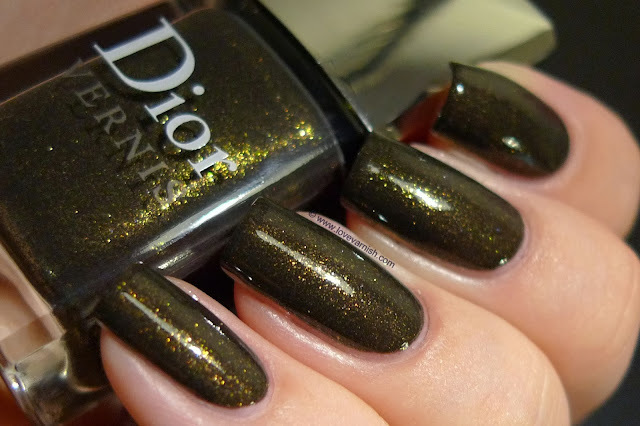 And the perfect smokey finish because Loqi used polishes with a shimmery finish! This squishy grey jelly from El Corazon has a lovely shiny finish :-). 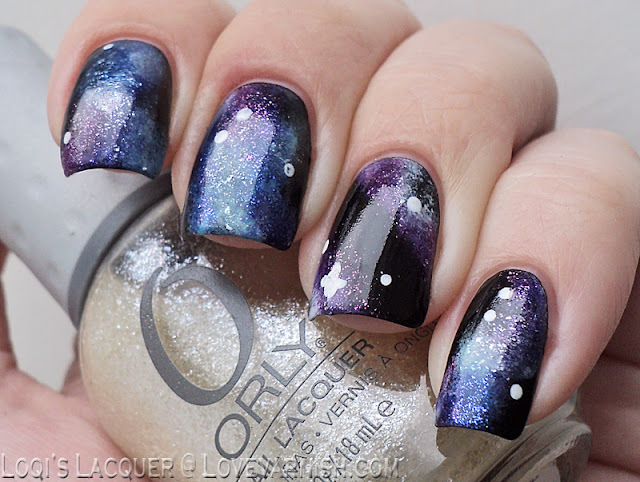 Wednesday 31 Day Nail Art Challenge - Galaxy Nails! These blue and purple galaxy nails are so perfect, and it's a really easy nail art technique too. One of the older polishes in my stash and also my first expensive buy. Still don't regret it! Isn't this black & white topper one of the cutest you've ever seen? The colored hearts are really fun and it has a gorgeous multicolored shimmer too. Saturday Too Fancy Lacquer Here Comes September! Another precious polish I need to wear again is this periwinkle beauty! Such a strong holographic effect, too.